Achieve a classic and chic look wearing the RAYMOND WEIL® Toccata watch. Stainless steel two-tone five-link bracelet. White dial face features Roman numerals, gold-tone hands, date display window at 3 o'clock, and minute track at perimeter. 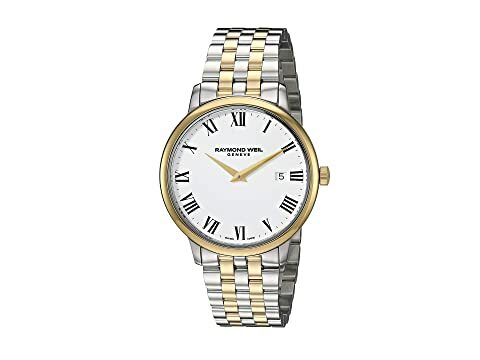 We can't currently find any similar items for the Toccata - 5488-STP-00300 by RAYMOND WEIL. Sorry!